I have just found out how to create a bar header. Message to Blogger : there must have been an easier way. Come on! It's like Excell, sometimes you just want to copy something and it's a freaking nightmare. « I just want to copy to same formula from row 1 to 25! » Geez. Anyway, it's new year's eve and I just posted my first ever budget (Budget header). Let me know what you think. All advices are welcome. Meanwhile, have a happy new year 2013. This is my actual portfolio. It only includes the money I hold in stocks. So no bonds, no cash, strickly what I have purchased on the market, which is roughly 60 K$. I know I said I didn't hold funds. I actually do. One. See, I order to cut my banking fees RBC made me open a TFSA account outside of my RBC Direct Investing accounts. So I did. I invest automatically 50 $ every two weeks. Obviously, I only had access to the RBC products. I picked the US Index Fund with the lowest fee. I will eventually take out the money and transfer it into my Direct Investing account to buy stocks (real ones, I would say). And start the process all over again. Anyway, meanwhile, this is my only fund and the sole purpose is to cut the RBC Bank fees. I hate Bank fees. But I take comfort in the fact that eventually it will come back to my pocket in the form of dividends. Right now, RBC has a 2. 40$ dividend per share, which makes a return of about 250 $ annually. JNJ and POW are my longest holdings; since 2010. CP has done incredibly well since I bought the stock in June 11. I wish I have bought more. (I actually sold half of it at 75$...). I consider the stock overprice at 100$. Barrick Gold is slumping like mad. My average cost is 41 $. The AA portion is basically crap; some leftovers from various Penny Stocks and shares from Junex, a Canadian-based company into shale gas. It's not going anywhere at the moment. 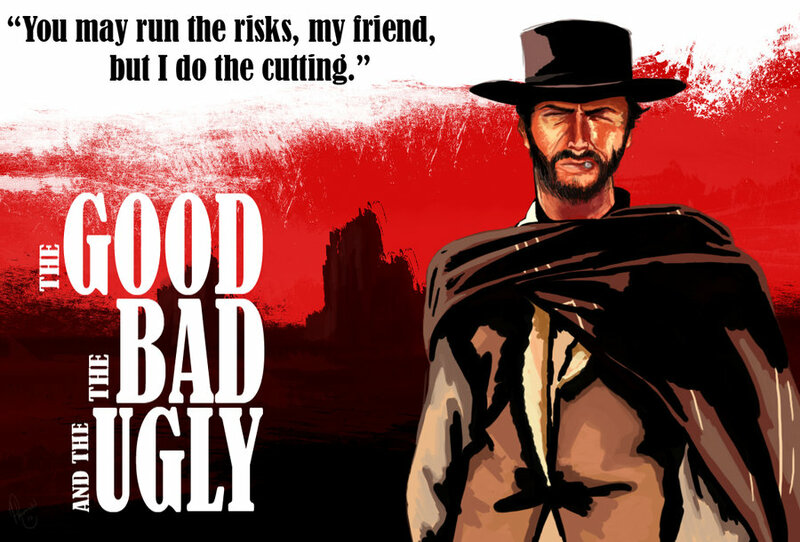 Financial Blogs: the Good, the Bad and the Ugly. 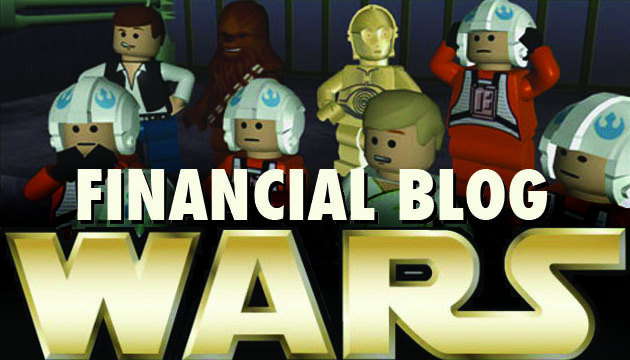 It's great browsing around the Web and seeing all those financial blogs. Young and old people who have money goals and want to attain them. They really put great efforts in doing so. We all have to tip our hats off to them. It's refreshing to think not everyone is hooked on its credit card. There is hope for the Master Card generation after all. But, for the "good part", there is also a lot of "the bad and the ugly" part. While, like I said, their goal is praiseworthy, you have to feel sorry for some of these people. They have kept their budget tight, they know they shouldn't be spending greater than what they earn, they all have brokerage accounts and, yet, they make the stupidest financial mistakes -- some of them are managing a great deal of money like clueless monkey. It's sometimes laughable. Other times it's plain scary. Here's a few thoughts about those blogs. and buy, out of the blue, Commercial Buildings in order to diversify its assets. Doesn't matter if this company knows nada about real estate. It's diversification, duh! Well, this concept is also applicable to investor. Being invested in various companies which operate in different sector of activities is what we call being diversified, and it's a key element to every investor's portfolio. Being invested in 25 mutual funds, that respectively own an average of 200 companies in roughly 30 countries is bad. Adding stocks from the same companies you already own through your funds is plain stupid. Diworsification. And how about those fund fees? Owning more than 25 stocks is crazy. How do you get the time to closely follow all those stocks? I wonder. Let me tell you : you can't. So basically you own a couple of stocks that you can't follow and thus you count on other people to tell you how the stock is doing. Big mistake. Diworsification. Owning the 6 big Canadian Banks. Or all the telecoms. Why ? Two of those would do, maybe three if you push it. Diworsification. Owning stocks for less than 500$. It's not worth it pal. Keep your dinero in cash and wait until you make a significant buy. 500$ or better. I would go as far as to say 2 000$ and more. Keep your commission fees low. Who needs 8 shares of Endbridge right now? It takes time to build a portfolio. If you can spare it, well buy yourself 250 companies via your Bank's mutual funds. Otherwise, wait. The key principal to value investing is to buy a great company as cheap as possible. Go read Benjamin Graham. Now! Personally I own no more than 9 stocks (at the moment) in 5 different sector of activities. And don't plan on owning more than 12 in the future. I pick strong US and Canadian companies that have a history of paying and raising their dividends. That's it. And I follow them. For the fix-income portion of my portfolio, right now all I have are Quebec and Canadian Government Bonds. No funds whatsoever, no fees. For now. I will catch you on the flip side. Next post I will be making a Financial update.